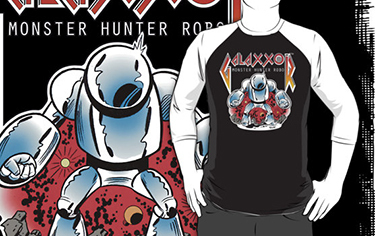 I've been meaning to get some sort of a new Galaxxor shirt together for quite a while, now. So, when the opportunity came about to get some work done by my friend, Chris Faccone, I jumped at the chance! I really love Chris's work and knew that he'd be the right dude to bring that cosmic madness to a Galaxxor illustration. In order to make the shirts available to the greatest number of people, in a variety of styles and sizes, I figured that Redbubble was my best option for a vendor on these things. Please keep in mind that Redbubble also offers a variety of different color options, but this design was created with a black background in mind. So, I would highly advise that you either go with a solid black tee or the black 3/4 baseball shirt with the white sleeves (my personal favorite!). 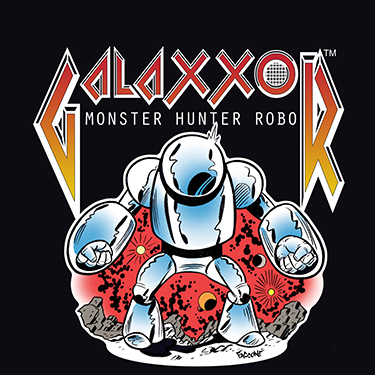 Go get your very own Galaxxor Monster Hunter Robo shirt right here!